A story of first faith and first love and how the two became almost fatally intertwined. Then you didn’t marry her. You’d probably find it somewhat disconcerting. Sean Paul Murphy certainly did. 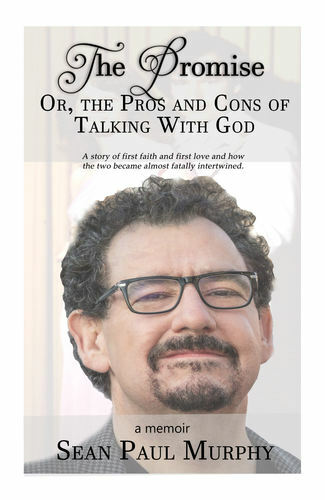 The Promise, or the Pros and Cons of Talking with God is Sean’s inspirational, coming-of-age tale of first faith and first love and how the two became almost fatally intertwined in his life. It is a poignant and insightful meditation on surviving in the gray area between God’s sovereignty and our individual free will. Sean Paul Murphy is an award-winning screenwriter with fourteen produced feature film credits including the faith-based favorites “Hidden Secrets,” “Sarah’s Choice,” and “The Encounter.” Sean lives in Baltimore, Maryland. He is happily married with three step-daughters, and he can be found every Sunday morning playing guitar at his church.